Horses have a story to tell, one of resilience, sociability, and intelligence, and of partnership with human beings. In The Horse, the journalist and equestrienne Wendy Williams brings that story brilliantly to life. Williams chronicles the 56-million-year journey of horses as she visits with experts around the world, exploring what our biological affinities and differences can tell us about the bond between horses and humans, and what our longtime companion might think and feel. Indeed, recent scientific breakthroughs regarding the social and cognitive capacities of the horse and its ability to adapt to changing ecosystems indicate that this animal is a major evolutionary triumph. Williams charts the course that leads to our modern Equus-from the protohorse to the Dutch Warmbloods, Thoroughbreds, and cow ponies of the twenty-first century. She observes magnificent ancient cave art in France and Spain that signals a deep respect and admiration for horses well before they were domesticated; visits the mountains of Wyoming with experts in equine behavior to understand the dynamics of free-roaming mustangs; witnesses the fluid gracefulness of the famous Lipizzans of Vienna; contemplates what life is like for the sure-footed, mustachioed Garrano horses who thrive on the rugged terrain of Galicia; meets a family devoted to rehabilitating abandoned mustangs on their New Hampshire farm; celebrates the Takhi horses of Mongolia; and more. 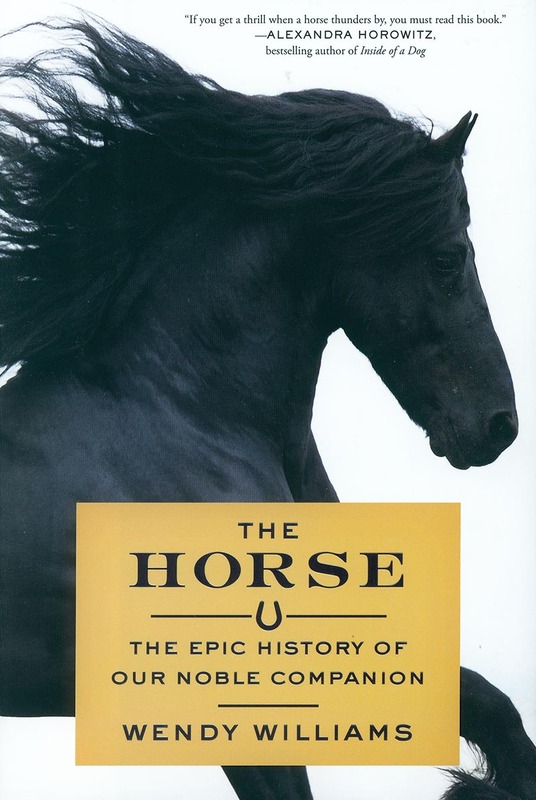 She blends profound scientific insights with remarkable stories to create a unique biography of the horse as a sentient being with a fascinating past and a finely nuanced mind. The Horse is a revealing account of the animal who has been at our side through the ages, befriending us and traveling with us over the mountains and across the plains. Enriched by Williams's own experience with horses, The Horse is a masterful work of narrative nonfiction that pays tribute to this treasure of the natural world.